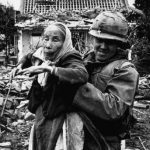 Soldiers of God... - The Works of Joe Campolo Jr.
As Christmas comes around old memories stir regarding some of the activities I took part in while serving with the U.S. Air Force in Vietnam. In addition to ministering to the spiritual needs of all GI’s in the area, our military chaplains at the Phu Cat Air Base in Binh Dinh Province also ministered to the spiritual as well as the material needs of Vietnamese in the area. I took part in two of the programs spearheaded by these chaplains. One involved helping out with the local orphanages, (see my earlier blog story The Orphans, February 2016) the other involved helping out at the leprosarium in Qui Nhon. Although some of us volunteers were only involved at Christmas time, the chaplains tended to the orphanages and leprosarium year round. At the leprosarium, the chaplains would bring any number of needed goods, including medical supplies, food and spiritual items. They would go through each small hut and minister to the poor souls who were struck by the horrific malady of leprosy. On the one trip that I assisted the chaplains in this effort, I helped load and unload trucks. I’m ashamed to say that along with several others who came to help, I did not have the courage to go into any of the huts along with the chaplains; fearing the dreaded contagion. We waited outside near our vehicles, catching a glimpse of some of those poor souls as they walked in and out of their huts. 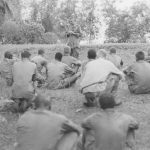 In addition to administering to the spiritual needs of GI’s and helping the locals with their different programs, the chaplains also took the job of mental health counselor and therapist. Lonely, tired and scared GI’s often sought out the chaplains who would give freely of their time and services. The base chaplains would also go out into the field to assist other overwhelmed chaplains in ministering to the needs of troops whose dangerous lives often brought them face to face with the end. Along with holding field services, the chaplains counseled war weary grunts and provided last rites as needed. 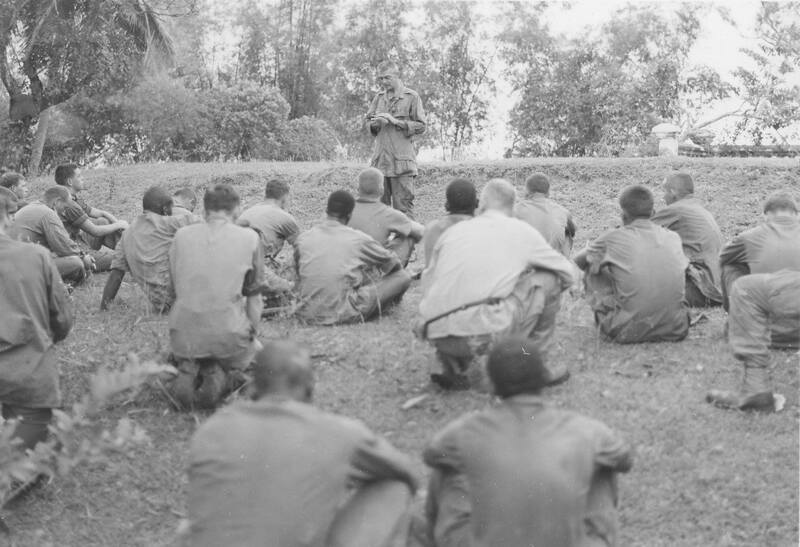 The chaplains also fulfilled the difficult role of providing a moral compass during the Vietnam War; often speaking out against activities which they deemed immoral or contrary to God’s word. For many years they railed against the habit of collecting enemy ears for trophies or body counts; successfully curbing that practice in many areas. On many occasions the chaplains found themselves fighting right alongside the GI’s they ministered to; defending themselves and members of their flock. 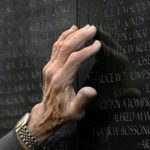 During the course of the Vietnam War, fifteen U.S. military chaplains were killed in the line of duty; and many more were wounded. Many chaplains earned various medals for bravery and honor including three who were awarded the Congressional Medal of Honor. Congressional Medal of Honor recipient Father Charles Watters, U.S. Army, served two tours in Vietnam. He was awarded the Air Medal and Bronze Star during his first tour in 1964. During his second tour in 1967, while retrieving wounded men and administering last rites, Father Watters was killed. Congressional Medal of Honor recipient Father Vincent Capodanno, U.S Navy, served with the U.S. Marines in Vietnam. He also exposed himself repeatedly while retrieving Marines wounded or killed in action. Capodanno himself was killed while administering last rites to a wounded Marine. 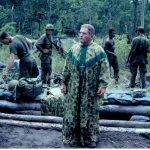 Congressional Medal of Honor recipient Father Charles Liteky, U.S. Army, served in Vietnam in 1967. He was severely wounded while carrying many wounded men to safety. After the war, Liteky left the priesthood. 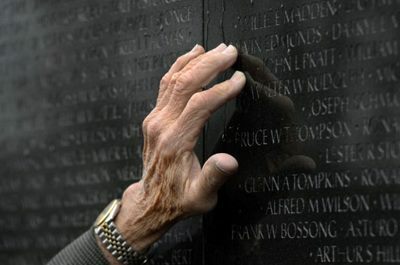 He joined the anti-war movement and left his Congressional Medal of Honor at the Vietnam War Memorial (The Wall) in Washington D.C. in 1986. 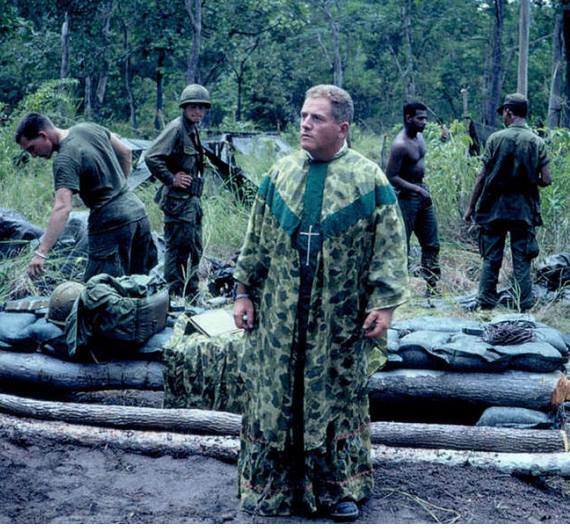 The clergy who served in the U.S. military in the Vietnam War provided a tremendous service for all who were there. Thank you so much for this article. 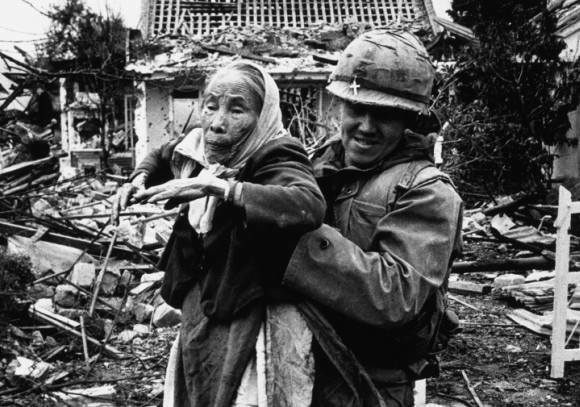 You don’t see many articles about what chaplains do in combat situations. My experience was not what the chaplains did in combat situations, that you write about but I always went with my guys when we they set up FSBs and NDPs. I was not allowed to go with them when they went outside the wire but was with them when we were mortared. I held memorial service for 92 men in my units. So sad, I think the average age was about 20. Good to hear from you Bill, thank you for your input and for your service.